ISO is an independent organization that serves insurance companies and other agencies by providing information about risk. ISO collects information about municipal fire departments in communities throughout the United States. ISO analyzes relevant data in each of these communities and assigns a Public Protection Classification from 1 to 10. Class 1 represents exemplary fire protection, and Class 10 indicates the negative end of the spectrum and that the community’s fire-suppression program does not meet ISO’s minimum requirements. Almost all insurers of homes and businesses in the U.S utilize these ratings to measure risk and calculate premiums. The Fire Department (equipment, staffing, training, geographic location of fire stations). The City of Semmes fire training complex which prepares firefighters for life-saving practices in the City of Semmes and surrounding areas is incorporated into ISO assessments which influences homeowners insurance rates. ISO grades, based on a nationwide study performed by ISO, the cost of fire losses for homeowner’s policies in communities graded Class 9 is 65% higher than communities with the grade of Class 5. The City of Semmes has an ISO class rating of 5 . The City obtained this rating in 2016. 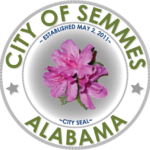 The City of Semmes ISO class rating for 2017 will be published in the fall.